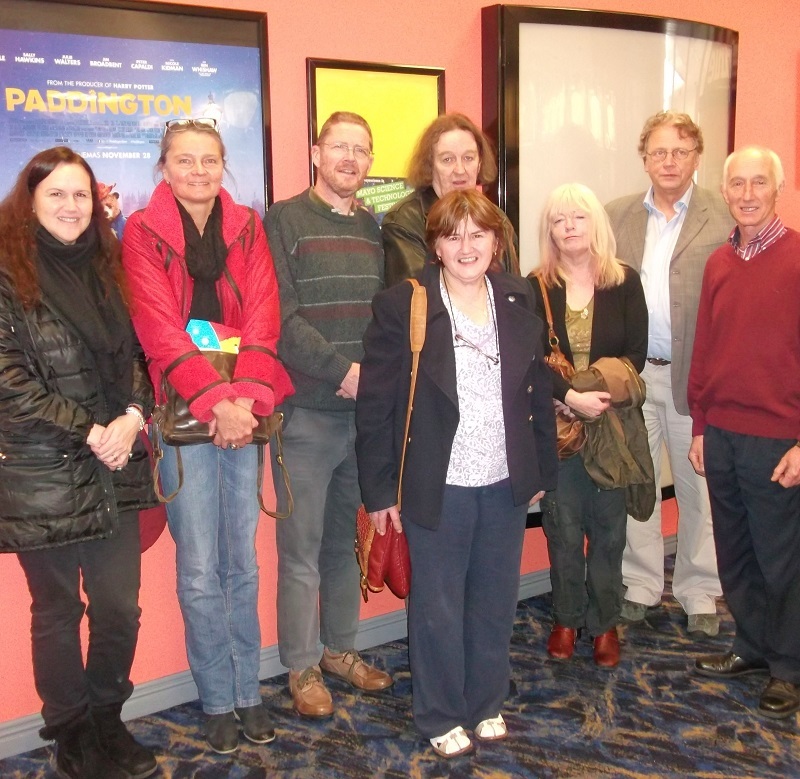 November 18, 2014 at Mayo Movie World's screening of documentaries: "John Hoban-Music from the Heart", "Jack's Old Cottage" and "Music in Social Care with John and Isabela." Made by Professor and film-maker Dr. Willem Blok. Pictured are Isabela Basombrio Hoban, Dr. Jeannette Hartman from NHL Hogeschool Netherlands, Dr. Mark Garavan from GMIT Castlebar, John Hoban, Marian Neary, Dr. Willem Blok from NHL Hogeschool Netherlands and Joe and Irene Moylette.